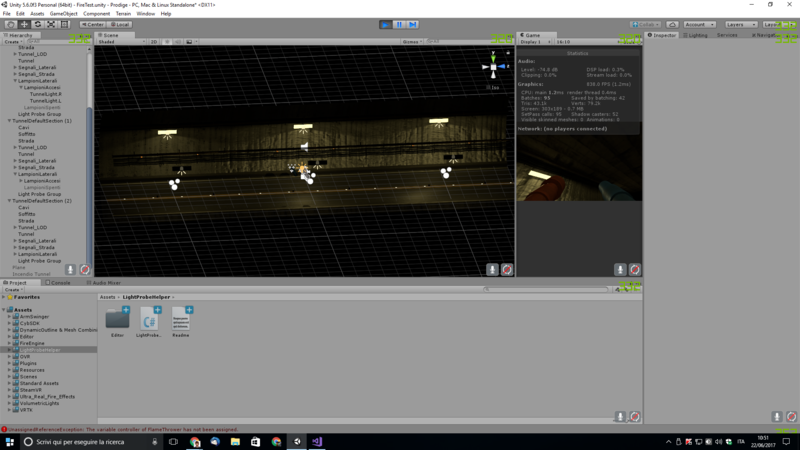 Hi everyone, I'm trying to developing a 3d application featuring a road tunnel with sidelights, so I'm trying to learn how to master baking with lightmaps and light probes. I set my tunnel section prefab (10m long) to static, I added two mixed mode spotlights per section and then I tried to bake. So as you can see, the first section has a complete bake of both lightmap and probes, but it doesn't light up dynamic objects, while the other two sections only have the lightmap, while the spots are still somehow realtime (and they light up everything). The question is, why? Is the bake algorithm failing at some point? Am I doing this wrong? 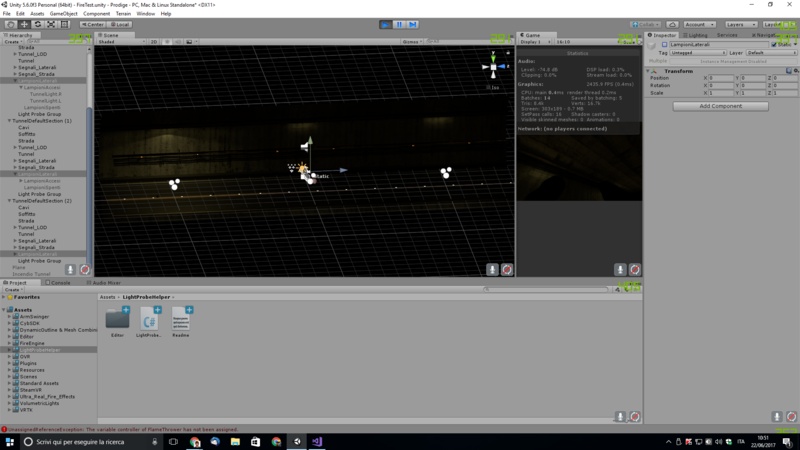 Note that I'm trying to find a way to have some lighting on dynamic objects too.